A Zimbabwe High Court has ruled that military action against ousted president Robert Mugabe is legal. The military stepped in as it was becoming obvious Mugabe’s wife, Grace, was positioning herself to take over from the 93-year-old. One of the bold steps taken by Mugabe was the firing of deputy Emmerson Mnangagwa ahead of the 2018 presidential election. Mnangagwa was sworn in on Friday as president to succeed Mugabe. Bounce News had reported that Mnangagwa has given some assurance to former president Mugabe that he and his family would be safe in the country. 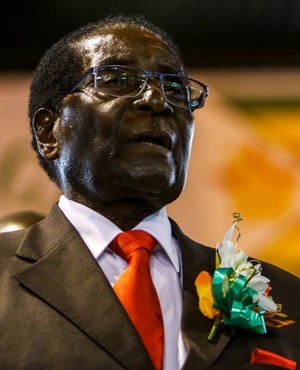 High Court Judge, George Chiweshe ruled that the military's actions "in intervening to stop the takeover" of Mugabe's constitutional functions "by those around him are constitutionally and lawful."